Back in May 2009, a small alpha version of a game that Markus Persson, known as "Notch" to most of his fans, was made available on the TIGSource.com forums. He had coded it up in the space of a week and now, a full year and a half later, Minecraft is finally having it's "Full Version" released to the masses. There's nothing unusual with the amount of time that Minecraft took to reach this stage, or in the way that the game was conceived... But how many other titles do you know have 16 million registered users and 4 million units sold before the final build was even released? The Minecraft model of game release is fairly unique in the fact that it is already owned by so many people, yet it has only just been "finished", and in fact will continue to be worked on for quite some time. To begin, Minecraft was basically a sandbox building game with just grass & stone that you could pick up and place, leaving the rest of the gameplay up to each player's imagination. Even with these limitations there was still plenty that you could create. Over time more elements were added, along with bug squishing and 50+ readily available patches in the alpha stage of development alone, and over 30 more during the beta phase. With each release the game was pushed through the progress of Minecraft being a fun but incomplete game towards something that would engage people in new ways. 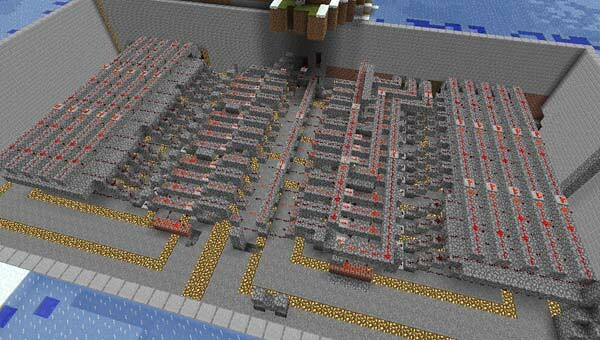 The release of redstone alone opened up a whole new world of creativity as it could be used to create circuits with wires and switches, meaning you could actually construct machines and basic computers. Though they could grow to be extremely complex, players could create songs from music blocks, ticker displays, recreating 8-bit pixel art from coloured blocks or just a plain old trap door. The game is exactly what you make it into. Many people just stuck to digging huge mines to collect materials and it was still just as fun. The infinitely rendered map meant that there was always something new to explore and on top of this, the maps that you create are saved and can be shared with anyone. Due to this, it is entirely possible to build your own adventure dungeons and then share it with friends or the internet. The ways to play Minecraft are endless. One of the most integral factors to the game's popularity was the introduction of the multiplayer. This mode is successful not only because it allows you to show off what you've built to a server full of friends, but you can also work on projects together. Where a lot of other games' multiplayer modes are based around working as a team to destroy other teams, Minecraft encourages you to create. But of course the game wouldn't be complete without the ability to kill something. Or be killed. Though some people may wish that they never had to encounter another Creeper ever again, it's clear that the game would not be the same without thisssSSS iconic mob. What's interesting is the fact that Creative and Survival modes have continued to be held separate. Many games have aspects that detract from the overall enjoyment for some users, so it is nice to have the option to simply mind your own business building a castle without constantly being set upon by spiders and skeletons. Notch wanted the game to have RPG elements from the start, and this final release at last allows the player to participate in this, including generated NPC villages and almighty Ender dragons as bosses. However, the game is still left entirely open for you to decide to entirely ignore that part of the game if you so wished. Minecraft can also be heavily commended for the interaction between Notch himself and fans of the game. After every patch was released, Notch would pay a lot of attention to feedback, especially from Reddit's /r/Minecraft and his Twitter page. He'd listen to how people felt about certain features and implemented changes in game accordingly, even to the extent of completely adding things that people wanted. Grinding flowers to create ink which can be used to dye wool blocks was originally an idea from the community. Features such as the pistons which push blocks around were originally mods created by a fan, and there are still countless mods being created all the time. Included in this, as with most mod communities for PC games, is the ability to create their own textures for the environment. Minecraft's simplistic world of blocks still holds a great deal of aesthetic charm when the default texture is used, but there are literally millions of iterations of textures you can use to make the game look how you wish it to. This level of interactivity between the development and the community is something that is nigh on never seen in console gaming. 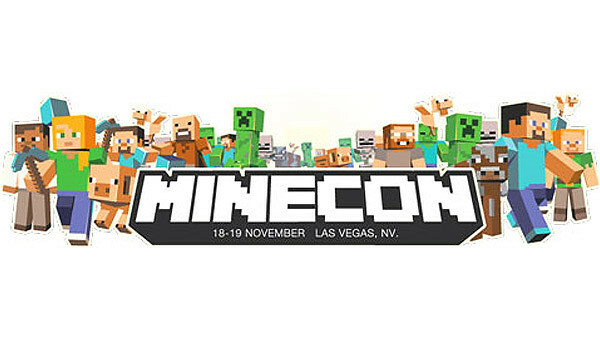 This weekend (18th-19th November) in Las Vegas, the official release of Minecraft is taking place at its very own convention, Minecon, with 5,000 people in attendance. It's crazy to imagine that from the small beginning it had, the game could gather such a huge following and movement. Notch received a standing ovation when he took to the stage in the keynote address at the opening of the con. Over a year ago, he was virtually unknown, but now has a strong following online, his own company with various other games in development, and a huge success story under his belt that supports the model that indie development, distribution and gaming can be just as good as any mainstream method, if not better. All of this came about from what he himself called "a frankly rather strange game idea". Various panels are being held at Minecon with a variety of different speakers, including Mojang themselves. Celebrities created from Minecraft, such as C418 who created the music and sounds for the game or CaptainSparklez, a popular YouTube user who creates videos about Minecraft mods and more recently music videos, are in attendance throughout the weekend. Minecon is also the first opportunity for players to get their hands on the Xbox 360 version. The Pocket Edition is already available on iOS and Android, not to mention it has already hit the top of the respective app stores' sales charts. Builds of Scrolls and Cobalt, the new games that Mojang are working on, are also available for people to play throughout the two days. It's amazing that Minecraft ever got to a state of being released, mainly due to the fact that the development of the game has not yet finished. Patches will continue to be released with new content in the future, and the open ended style of gameplay means that the community will continue to create maps and mods for a long time to come. The popularity of this game has grown steadily over the space of the last year and is a victory for the world of indie PC gaming. Fans will carry on enjoying the game and through this Minecraft's cult status will be ensured. Minecraft is now available to purchase for PC at £16.95 from its Official Website. The Classic Version is still entirely free to play. The Xbox 360 version can be found on Xbox Live Arcade and the iOS and Android versions can be found on their respective App Store and Marketplaces.